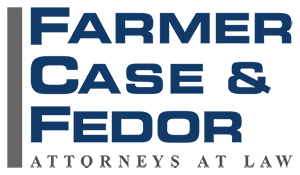 Cynthia A. Arce is an Associate Attorney at Farmer Case and Fedor. Ms. Arce attended San Diego State University where she graduated with distinction in Criminal Justice Administration and Psychology. Ms. Arce joins the firm with extensive insurance experience having worked for multiple international insurance carriers handling personal and commercial general liability claims including personal injury, products and premises liability, director’s and officer’s liability, insurance coverage, breach of contract and general negligence. Cynthia A. Arce is an associate attorney at Farmer Case and Fedor. Cynthia A. Arce is an Associate Attorney at Farmer Case and Fedor. Ms. Arce attended San Diego State University where she graduated with distinction in Criminal Justice Administration and Psychology. After obtaining her undergraduate degree she obtained her Juris Doctor from Thomas Jefferson School of Law. Ms. Arce joined the firm with extensive insurance experience having worked for multiple international insurance carriers handling personal and commercial general liability claims including personal injury, products and premises liability, director’s and officer’s liability, insurance coverage, breach of contract and general negligence. Ms. Arce is a member of the Claims and Litigation Management Alliance and has spoken at conferences providing industry insight on insurance aspects. Her professional memberships also include the San Diego County Bar Association, San Diego Defense Lawyers Association and the Association of Southern California Defense Counsel. Ms. Arce is a San Diego native and enjoys spending time outdoors with her son, traveling and hiking. Please fill out the form below to contact Ms. Arce.